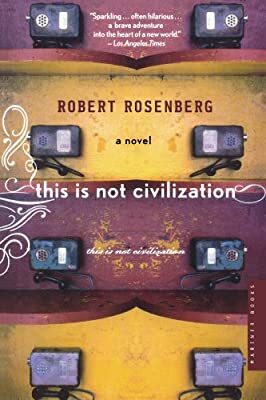 Author: Rosenberg, Robert Set In . . . In the tradition of Prague and White Teeth, This Is Not Civilization is an inspired, sweeping debut novel that hopscotches from Arizona to Central Asia to Istanbul with a well-meaning, if misguided, young Peace Corps volunteer. Jeff Hartig lies at the center of this modern take on the American-abroad tale, which brings together four people from vastly different backgrounds, each struggling with the push and pull of home. A young Apache, Adam Dale, forsakes the reservation for the promise of a world he knows little about. Anarbek Tashtanaliev, of post-Soviet Kyrgyzstan, operates a cheese factory that no longer produces cheese. Nazira, his daughter, strains against the confines of their village’s age-old traditions. With captivating insight, realism, and humor, Robert Rosenberg delivers a sensitive story about the cost of trying to do good in the world.